Australia has announced its teams for the forthcoming series against Pakistan. Michael Clarke and George Bailey will lead them in ODIs and T20s respectively. The Kangaroos will play three One Day Internationals and even Twenty20s vs. the Green Shirts in the United Arab Emirates due to be held in August-September, 2012. The Australians have just returned after a disappointing five ODI series against England where they were humiliated by the hosts. The visitors were unable to win a single match and the hosts clinched the series authoritatively by a margin of 4-0 whereas one match at Birmingham on July 4, 2012, was abandoned because of rain. The Aussies selectors have tried to formulate a balanced side for both versions of the game with the hope that they will produce positive results in the series. Cameron White has been recalled for the T20 squad whereas Callum Ferguson has been included in the ODIs and Glenn Maxwell will take part in both formats. Shane Watson and Ben Hilfenhaus have been rested for the ODIs but will be a part of the T20 team. Michael Hussey made himself available after he skipped the England tour because of the premature birth of his child. The experienced batsman will line up for the ODIs as well as for the T20s. Cameron White has earned his place in the T20 side as he is performing well for Northamptonshire in the ongoing Friends Life T20, 2012. He has played 9 matches and has smashed 228 runs at an excellent average of 57.00, the best of unbeaten 62 with two fifties. Callum Ferguson has been recalled for the ODIs after a lapse of almost one year. The 27-year-old played his last 50 overs match against Bangladesh on April 13, 2011, at Shere Bangla National Stadium, Mirpur. 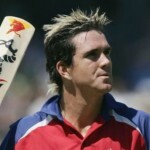 He has appeared in 30 ODIs for the Kangaroos and scored 663 runs averaging 41.43, the best of unbeaten 71 with 5 fifties. The selectors have given him another chance in the hope that he will perform well and stabilise the middle order batting. The young all rounder Glenn Maxwell has an excellent chance of proving his worth in both forms of the game and is a strong contender for the green Baggy Cap. He was born on October 14, 1988, in Kew, Melbourne, Victoria, a right hand batsman and a right arm off break bowler. Maxwell has played for Victoria, Hampshire, Delhi Daredevils, Hampshire 2nd XI, Victoria Under-19s, Melbourne Renegades and Victoria Second XI. The 23-year-old has played 14 List A matches, scored 229 runs at an average of 25.44, the best of 61 with two fifties. He has taken 9 wickets averaging 37.55 runs per wicket with the best of 2-38 runs. The emerging all rounder has taken part in 21 T20s, scored 325 runs averaging 23.21, the best of unbeaten 66 with two fifties and has got 6 wickets as well. David Warner, Shane Watson, Matthew Wade (wk), David Hussey, Michael Hussey, George Bailey (capt), Cameron White, Daniel Christian, Glenn Maxwell, Brad Hogg, Xavier Doherty, Clint McKay, Mitchell Starc, Pat Cummins, Ben Hilfenhaus. The first ODI will be played at Sharjah Cricket Stadium on August 28, 2012, and the T20 series will commence on September 5, 2012, at Dubai International Cricket Stadium.